ScoomSquad (Wubblah) is a group of Pirates, Researchers, Doo-Wop, Leather workers in AZ, an Alligator, Space Invaders, Cageologists, and we play Minecraft. Some may refer to us as gods, others their savior, but we refer to ourselves as full blown flamers. We usually keep this kind of information to ourselves, but fortunately for you, we are releasing the content that is ScoomSquad. - Do you ever find bugs bunny attractive when he put on a dress and played a girl bunny? - Do you like feet? - Is it true that you are required to say "what up" to Sullivan? You gotta say what up to Sullivan. - Does ScoomSquad accept jabronis? Our goals for VC consist of building an astounding base, have the top puffpuff operation on the server (YEAH YEAH! ), and helping the community by being active and entertaining. In the past we have been silent and were not particularly involved within the community. We plan on changing some of our old ways and will hopefully become well known in a positive way. Last edited by Scrumpingpup on Wed Mar 19, 2014 9:39 pm, edited 1 time in total. You shall never take over Teh Order's puffpuff empire! knightprodigy wrote: You shall never take over Teh Order's puffpuff empire! Scrumpingpup wrote: - Who is Shrek? Mbsoccerfan is an enemy of the crown and a traitor to the realm, I demand his head!! I have claimed independence from ScoomSquad. I will now be living in my new base that I have created courtesy of Raytunes. 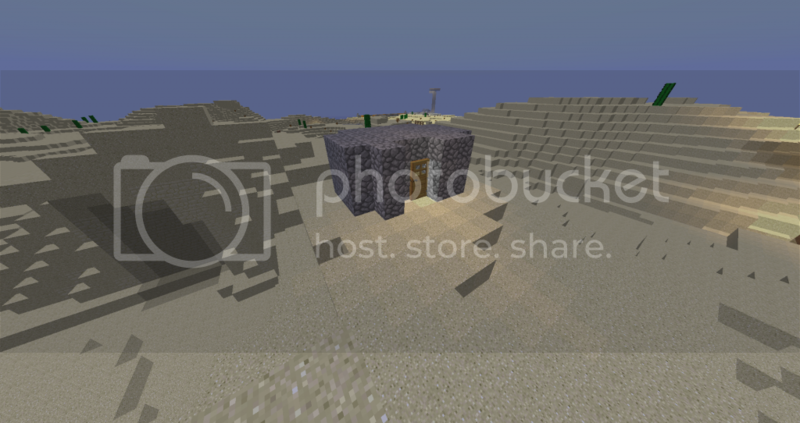 Here is a picture of my new luxurious base/shack.